Highland League club Fraserburgh hit the Scottish Cup jackpot yesterday when they were paired with Rangers in the fourth round of the Scottish Cup. The Broch will host the Ibrox club at Bellslea Park on the weekend of January 20 and 21 after landing the big name opponents they craved. One Highland League club is guaranteed to reach the fifth round after Formartine United were paired with league leaders Cove Rangers, while Brora Ran-gers will travel to East Fife. 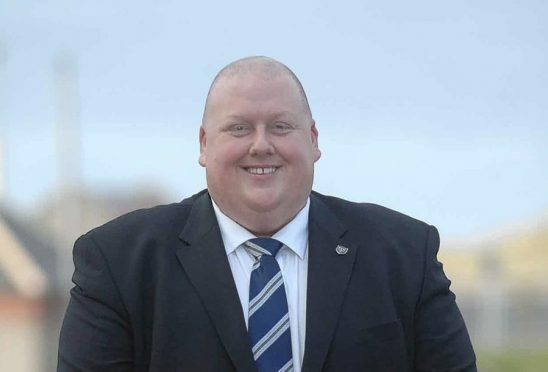 Fraserburgh chairman Finlay Noble insists the game will go ahead in the town and is already making plans to accommodate as many supporters as he can in the 3,000 capacity ground. Ross County will travel to Kilmarnock, while Caley Thistle face a trip to Dundee.